The Michael Jackson Estate is hardly letting go of Leaving Neverland, the documentary about the late pop star’s alleged sexual abuse that will be airing on HBO next month. On Thursday, Optimum Productions and the two co-executors of the Jackson Estate sued HBO and parent company Time Warner claiming the documentary constitutes a breach of a non-disparagement clause in an old contract. The law may give no recourse to dead individuals when it comes to reputation, but those managing the Jackson business have found a way to haul HBO into court over Leaving Neverland. After going through attacks on Jackson’s two accusers — Wade Robson and James Safechuck, plus filmmaker Dan Reed and HBO — for failing to meet with them to address concerns about what the estate sees as a one-sided propaganda film, the plaintiffs discuss the old contract that HBO made to air a first-ever televised concert after the release of Jackson’s album Dangerous. The year was 1992, and many media outlets were said to be chasing Jackson’s televised concert at that time. Then came the deal. 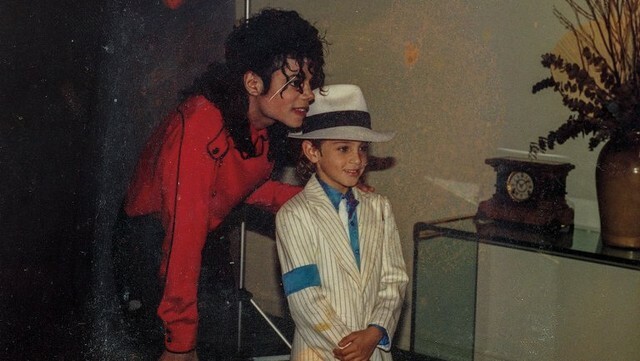 Among the complaints is how Leaving Neverland expressly suggests “Jackson was abusing children in connection with and on the Dangerous World Tour,” pointing to a scene where Robson’s mother is shown discussing the children taken on that tour. Besides claiming violation of the disparagement clause, the estate is also talking about “responsible journalism” and alleging a breach of the covenant of good faith and fair dealing. The Jackson Estate could have first filed an arbitration demand, but obviously they wished to make noise right before the airing of the documentary. If this dispute moves forward in arbitration or otherwise, there could be challenges to the standing for suit as Michael Jackson’s old touring company was a signatory to the agreement (said to be a predecessor of Optimum Productions) and there will be the question of injury. Additionally, expect an attack on the scope of this agreement (attached as an exhibit to the complaint). The confidentiality provisions include some discussion that obligations on non-disclosures post-date HBO’s relationship with the singer, but it’s less clear whether those post-term obligations extend to non-disparagement, and HBO will surely argue that it wasn’t the intention of either party to bind what HBO could say about Jackson throughout eternity. A version of this article originally appeared on The Hollywood Reporter.